I wanted to share this story with other couples so they too may be blessed with a child and share the same joy we have felt. My husband and I were married in 2009. For both of us this was our second marriage. He had three children earlier in his life and therefore had a vasectomy. When we started dating I had expressed my desire to have a child someday. We had agreed we would try a vasectomy reversal. After some research I found Dr. Silber. We later scheduled the surgery to be done. We had the procedure done in January 2012. We had decided that this was our only chance to conceive. We were not going to pursue any other avenues such as in vitro. We had a friend that had a reversal from another facility who had a low count and did not achieve pregnancy. Thanks to Dr. Silber we conceived first in December 2014. Unfortunately that pregnancy was lost, but we again got pregnant in November 2014. On August 12th 2015 we were blessed to welcome our “Cowboy” to this world. Our entire family couldn’t be more happy and thankful for our little blessing. Everyday he brings smiles and joy into our lives. Without the successful work of Dr. Silber this would not have been possible for us. We truly thank you and God for our child. In 2013 we heard of your Microscopic Reversal Vasectomies from our niece. She was a student at the University of Omaha and witnessed a speech you gave to the students. We were desperate for a new route as the first vasectomy performed on my husband by a local Urologist did not work. Fast forward, the Vasectomy reversal you performed on my husband in October 2013 was a success! It was his second reversal attempt and first success due to us choosing your services this time around. The Microscopic Reversals are key. We learned the hard way that using a Urologist who does not perform Microscopic Reversals has an extremely low success rate. Saving the money for an inexpensive reversal is not worth it as most likely you will have to redo the surgery with someone who knows what they are doing (Dr. Silber). So, We conceived naturally 9 months after the M.R. surgery you performed. Now, our beautiful Melana Emeline Shaw is 6 months old. We thank you so much for her as we would not have her if it wasn’t for you. Melana is a joy in our lives that we thought for years we would never get. You helped give us a blessing that makes life so much more meaningful and for that we thank you. Thank you for your skills, thank you for your time and thank you for Melana. We approve for you to add our story to your many success stories for others to see and learn. God Bless and we will update you… as we plan to have more babies! In March of 2011, after having completed months of research on the subject of infertility, my Wife and I contacted your office with eager anticipation of getting through our infertility issues. Our story is one of correcting infertility issues developed by me having gone through a vasectomy, one successful vasectomy reversal in 1997, and another vasectomy in 2002. We were quickly put to ease by the professionalism and knowledge you and your staff had of our situation. We appreciated the fact that you gave us your assessment and recommendations and then gave us time to evaluate these recommendations. Your staff was very helpful in setting up all the arrangements from accommodations to finances. So, in May of 2011, we scheduled a vasectomy reversal through your office. Again, you and the staff at St. Luke’s were professional and courteous. The procedure went well and we went home believing we had made the right decision in choosing you to help us. The recovery at home went very well and I had very little discomfort. Again, I thank you and your staff for all the help even after the surgery. When we had questions, your staff was always helpful. So, it is with great honor and pleasure that we inform you and your staff that on December 17, 2014 at 11:50pm our son was born. Ryker Isaac Monroe was a happy, healthy 9lbs 6oz at birth and is now growing and smiling daily. We hope our testimony will help give couples hope that one day they too will experience the same joy in their lives. 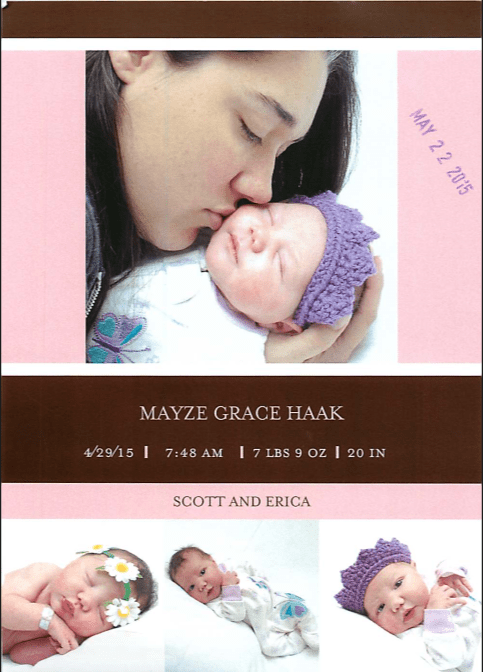 Update from the Haak family: Daughter Mayze Grace was born May 22, 2015. Before we found Dr. Silber, we had no hope for a future as parents. We were told by several physicians and their staff to “give up” …literally… we were told to give up. I spent two years trying to deal with that reality, then I ran across Dr. Silber’s website and I read his story and I started to cry. For the first time in years, he had given me back my hope and I was allowed to start dreaming again! I was so nervous when we sat down to speak to Dr. Silber, because I was afraid he was going to tell us that it wasn’t an option, that it wasn’t going to work. We sat there listening to him explain the surgery, the recovery and the expected outcome. He was warm, inviting and encouraging! We left his office that night with smiles from ear to ear! The surgery went off without a hitch, and recovery was quite simple. The staff at the hospital were professional and kind, and we left St. Louis with an unimaginable amount of hope in our hearts! All of Terry’s sperm counts came back well above the “normal range” and slowly we began to realize that it had worked and we were going to be parents! All of our physicians back home were constantly amazed at how high Terry’s counts were. We heard doctors say frequently as they looked at his count results, “How long was it between your vasectomy and reversal?”. Dr. Silber didn’t just reverse my husband’s vasectomy, he instilled hope in our hearts, which had been stripped away… and he allowed us to dream again… and those dreams came true! Thanks so much for being the people who give back the hope! Just wanted to send you an update for our family. In December we welcomed our second set of twins! From years of being told we’d never be parents… to becoming a family of 6! We just want to thank you all for the work you do! Thanks again! In 2003 we were a typical military family of four. With our daughters ages 11 and 5 we felt extremely blessed and for the most part, fulfilled. After 11 yrs in the military we decided it was time to move on to the civilian world. So with logic over shadowing the deep hidden desire for a bigger family we went ahead and had a vasectomy. The gloom of making such a big mistake and not ever being able to have more children really put a black cloud over her head. Then one evening we caught a special on television about a gifted doctor performing special miracles for people like us. It gave us hope. So we contacted Dr. Silber’s office after a couple weeks of debating the pros and cons for a vasectomy reversal, after all we didn’t want to make another HUGE mistake. So in the early summer of 2006 Dr. Silber performed his magic. We stopped trying so hard and decided to let things take their natural course. Within a month we were pregnant again!! On September 27th, 2008 my wife gave birth to a very healthy baby boy. Tanner was 7lbs 12oz and 21inches long and ready to take over the house. Our house finally had a happy atmosphere again, my wife felt fulfilled, we had a son to pass on the name, things couldn’t be more perfect. Then at the beginning of 2009, to our surprise, we were pregnant again. Then a few weeks later another surprise, TWINS!!! Then a few months later another surprise IDENTICAL GIRLS!!!! We wanted a big family and we got it. 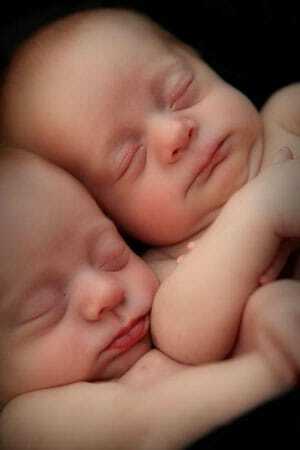 On 28 October 2009 our twin girls Jessica and Gracie Lynn were born at 5lbs 5oz each and 19 inches long. Now we are beyond fulfilled and are comfortable with saying our family is big enough. Thank you Dr Silber and all your team members for giving us the chance to become ONE BIG HAPPY FAMILY!! My husband and I had three children and then decided to get a vasectomy. A few years later we were led by the Lord to leave our fertility in His hands. We decided to go to the best, Dr. Silber. We wanted expert care for my husband. After surgery Dr. Silber talked with me and even shared pictures. It was amazing. My husband opted out of seeing the pictures! Anyway, we conceived 6 mos after the surgery with our first reversal miracle and had a boy in April of 2007, one year and two months after the surgery. We conceived again 9 mos later and had another boy in Sept. 2008. We conceived again two years later and are due Sept. of 2010. I am 40 and my husband is 44 and we had these babies 7 years after the original vasectomy. Dr. Silber’s office staff is amazing too and I always felt I could call with questions and they celebrated with me every time I called to announce another pregnancy. I wouldn’t hesitate to recommend this to anyone considering it. It was through the Lord and Dr. Silber’s hands that we have three new lives into this world that wouldn’t have been here without a reversal. Our lives are blessed. My husband and I were married in 2000. In 2003, we decided we would like to try having children, however, Mark had undergone a vasectomy about 17 years prior. After researching reversal options on the internet, I happened upon Dr. Silber’s office and was very impressed by his success rate, even with “old” vasectomies. In February 2004, Mark underwent a reversal… and endured a couple of weeks of teasing while he walked slightly bowlegged! Six months later we became pregnant! Our daughter was born healthy and happy, and has since been joined by a lively younger sister. We HIGHLY recommend Dr. Silber for his excellent work, professionalism and kindness. It was worth the travel and every penny. We are excited to send you the announcement of our daughter, Thea Rose. She was born October 20, 2009 and perfect in every way. Our vasectomy reversal was done October 7, 2008. This was our second reversal attempt. It proved to be a difficult surgery requiring double VE connection. We found out we were pregnant only three months after the surgery. We were thrilled and a bit shocked to find out we were pregnant so soon after surgery. Thank you so much for helping us complete our family. It would never have been possible without your talent and skill. We are grateful to you for making our dream a reality. We wanted to send you a picture of the baby that you helped us conceive. I had the vasectomy reversal procedure done on September 25, 2008. Evan Michael was born on May 3, 2010. He is a very happy and healthy boy. Thanks you for all that you have done to assist us in making our dreams come true. We couldn’t be happier. You performed a vasectomy reversal on Dwaine 2-17-05 and Ethan was born 8-13-08. It took us a while but here he is! We could not be more happy and quite frankly, we had given up hope on having a child of our own and started an adoption in China. We were so blessed to have Ethan. We thank you from the bottom of our hearts for what you have done for us. To us, Ethan is nothing short of a miracle. He is a happy and healthy one year old now and keeping us very busy. Thank you again for what you have done for us, without you and God, Ethan would not be here. We thank you. 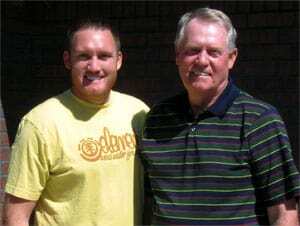 Todd, left, is a young man who was born after I did a vasectomy reversal on his father, right, 31 years ago. 31 years later, at age 31 I also did a vasectomy reversal on his son, Todd. Both were successful, both on father and on son 31 years later. So maybe we will be seeing his son 31 years from now. 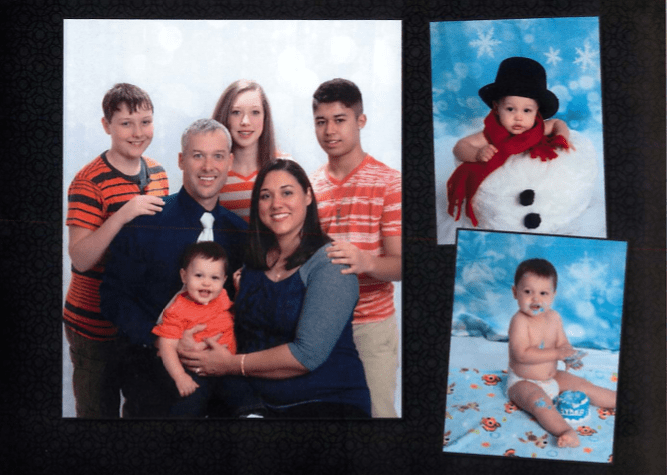 Todd is overjoyed because his wife became pregnant 3 months after his vasectomy reversal and emphasized that he would not exist if Dr. Silber hadn’t operated on his father 30 years before, and his baby would not exist now if Dr. Silber hadn’t operated on him. 3 genreations of Silber children! We just wanted to take this opportunity to write you and thank you for performing a successful vasectomy reversal on Craig in December 2008. Because of you, we were blessed with our little man, our Trip Taten, October 9, 2010. If you recall, we each had two daughters of our own and were very happy to be blessed with a healthy child, but due to all the recent drama with our four daughters, we’re ecstatic that we were blessed with a son. Craig was especially happy to have a son so that he can have a golf buddy. Now we have “yours, mine and ours” and you would think that would complete our family, yet we have loved having a little one again and wonder if he needs to have a little brother or sister. So it can be said that we are thinking about adding to our wonderful blended family again. Words cannot express our gratitude and complete happiness. This is thanks to you and your amazing work. My husband had a vasectomy in 1993 after the birth of his daughter. We met about 8 years later and started dating. I, being 8 years younger than my husband, wanted to have kids. We decided to get married after being together for 4 years. My husband and I saved to money to have a vasectomy reversal. After months of planning and saving, he had the reversal November 30, 2006. The reversal was successful, proven by sperm analysis. I started a low dose of Clomid and two months later, we were pregnant. I gave birth to a healthy, beautiful baby girl July 11, 2008, Brenna lynn. Two years later, we decided to try for another baby. We thought giving Brenna a baby brother or sister would be the perfect way to complete our family. I, once again, had to take Clomid due to my irregular ovulation. But in 1 cycle of Clomid, I was pregnant again. We were blessed with a beautiful baby boy, Bryson Michael on May 6, 2011. The gift you have given Patrick and I, with the help of God, has been truly the best blessing we could have ever hoped for. We want to thank you again, from the bottom of our hearts, for the wonderful job you did to make our family whole. Our kids are perfect, and healthy in every way. Back in 2005 when we wanted a baby so bad, I sat right here at this computer reading other testimonials just like mine. I wanted to be able to look back and share a happy story like the ones I read. And I am proud to say that we can finally share our story. Thank you Dr Silber and your wonderful staff. We are truely complete. We would like to start by saying thank you for helping us overcome our infertility. We recently welcomed our son Jaxson. He is a happy, healthy baby boy and the greatest gift that we could ever hope for! My husband and I have been together since we were sophomores in high school. We were married at age 21 and began trying to start a family a few years after that. We soon realized that getting pregnant was going to be difficult. After years of trying and countless fertility treatments at other clinics we found Dr. Silber’s website. We were very nervous about going to a new specialist and not sure we were prepared to go through the emotional toll of fertility treatments again. However, after our first consultation with Dr. Silber we knew that we had to try one more time to have a child of our own. Dr. Silber is easy to talk to and always has a reason behind the decisions he makes regarding patient care. He is confident and has the experience to back up all of his recommendations. His staff is amazing: they were always courteous and friendly. Our IVF nurse was Karah and she was fantastic! She answered every question we had (there were a lot of them), was so patient, and always there for us. Dr. DeRosa is also a wonderful physician. He is very experienced, confident and capable of putting even the most nervous patient at ease. My husband and I liked him so much we decided to continue seeing him throughout our pregnancy, even though there were many OB-GYN choices much closer to home. We have several friends/family members that are also struggling with infertility and I highly recommend to all of them that they go talk to Dr. Silber. He made our dream of becoming parents come true, so there are no words capable of conveying our gratitude to him and his staff, but thank you from the bottom of our hearts! After our 9-year-old daughter died in 2007, my husband and I were facing a long, childless life. He had a vasectomy when she was 4 because he didn’t want more children. Later that year, we decided to research vasectomy reversal. Time and time again, we came across Dr. Silber’s name, so we contacted the Infertility Center of St. Louis. 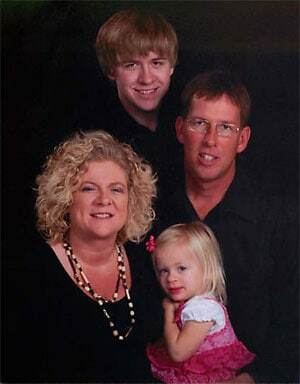 Jason’s procedure was booked, and six months later, completed on April 9, 2008. The surgery went well, but because of damage done as a result of the vasectomy, only one vas was repaired – that was discouraging, but we didn’t give up hope. After nearly a year of negative test results, we received word on Feb.9, 2009, on what would’ve been our daughter’s 11th birthday, Jason had a positive sperm count – it wasn’t much, but it was something. In July of 2009, our second child was conceived, and on March 15, 2010, Rain Kathryn Robertson came into the world, a beautiful second chance. We are so grateful that the path God set us on led straight through St. Louis to Dr. Silber. His expertise, care, and compassion brought us our baby girl, and we are forever blessed! Every specialist we went to told us there wasn’t any way my husband’s vasectomy could be reversed. It had been too many years, and it wasn’t at all possible! In our desperation we were told about Dr. Silber. We hopped on a plane and flew from Chattanooga, Tn. to St. Louis, Mo. – the rest is history! Dr. Silber did for us what every other physician said was not possible! I hope you’ve been receiving the Christmas pictures since our sons’ birth, I’ve sent one every Christmas since 1995! Not proud am I?!!! Just a little info. We are a musical family (God given talent) for generations back! Our get together’s for birthdays Christmas etc… consist of playing music. Caleb was no exception. He started playing at 2 yrs old. We do Gospel television world wide and concerts 150 dates a year every weekend. Caleb was raised on the road in a customized bus traveling with myself and my mother and father, who is an ordained minister. Caleb holds the #1 seat in the marching band for drums at his school. He also plays piano, bass, and guitar! He is in the top 5% of his class. (Not Mom speaking.) We get calls continually complementing us on his manners and what a wonderful guy he is! HE IS AWESOME! Not ashamed to tell you. We waited 7 years for Don’s reversal to successfully bring us our Gabriel, and then nine months later, we were expecting Sarah! I gave birth to Gabe at the age of 40! Sarah came at age 41! My OB/GYN tried to get me and Don to “do something” since I was getting older. We stood by God’s promise and our children came into this world through God’s handiwork and imparting His gift of wisdom and knowledge to Dr. Silber. Yes, we did wait for the reversal to produce sperm, and for whatever reason, it took longer than we expected, 2 years. Please post our story so that those “waiting” will be encouraged, and patient. Gabe is now 3 1/2 and is our sweet, sensitive little man. We know his gentle spirit will be used by God one day. Sarah is now 2 and full of life and generosity. She shares everything and is very active. God’s hand is upon her as well and we look forward to seeing His plan in her life. We bet it won’t be a “sit down” mission! Parenting is the most challenging position I have ever held but every day I wake up and wonder what would I do without my precious angels. Thanks to God and to Dr. Silber’s skilled hands and willing heart to serve! We would like to thank Dr. Silber and his staff for offering us the ultimate gift of HOPE through our daughter. My husband and I had been married for 16 years when our second son was born in November 2007. We felt our family was perfectly complete, so I had tubal ligation following delivery. Life was nearly perfect and we were incredibly blessed. Tragically, in August 2009, our 20 month old son died and we were devastated. Life as we once knew it was shattered beyond comprehension. One night while doing an online search regarding international adoption, an internet ad popped up regarding vasectomy reversal. It was then that it occurred to me that it might be possible to reverse tubal ligation. The thought had never entered my mind before. I assumed it was permanent. We had been very fortunate to easily conceive both of our sons. If only I didn’t have tubal ligation, we would be able to conceive another child. I continued to research the possibility and learned of Dr. Silber. I consulted both my OB-GYN and family physician who both confirmed that it was indeed a safe procedure with relatively high success rate. Both felt I would be an ideal candidate. I spoke with Dr. Silber’s staff to learn more, and in December 2009 my husband and I decided to pursue this opportunity. In my heart, I felt that God had granted us another opportunity for a child. Although we already had two boys, He placed it on my heart that the surgery would indeed be a success and we would conceive a daughter named Hope. With tears, prayers, and faith, I had tubal ligation reversal on January 30, 2010 at age 38. We were incredibly nervous and anxious, yet certain that He would guide Dr. Silber through a successful procedure. We knew all of the statistics and felt that He would grant us this gift. I remember Dr. Silber saying that the surgery was a textbook example and everything went well. We were incredibly fortunate to conceive during my first cycle in March 2010. We received confirmation that I was pregnant on Good Friday and announced the news to our family on Easter Sunday. As we faced a sad Easter Sunday – our first without our precious Jared – we were able to share the amazing news that a new child would be joining our family in December. Nothing is ever simple in our household, and yet again we faced tragedy. I developed HELLP Syndrome and Hope Canaan Birk was born September 16, 2010. At only 27 weeks 7 day gestation, she weighed 2 lb. 4 oz. She arrived one day before my 39th birthday and was truly the most incredible gift ever. She was in NICU for 7 weeks and came home weighing 4 lb. 1 oz. I believe we were most likely the quickest success story for Dr. Silber and this procedure. Surgery on January 30 and delivery on September 16! We are so thankful to Dr. Silber and his staff for the excellent care we received. Their kindness and genuine concern for our future were inspiring during a challenging time. It has truly been a roller-coaster, but fortunately the ride has a happy ending. Hope is now 2 years old and absolutely perfect. Thank you for granting us this miracle! I had a vasectomy in 1995. I was later divorced and remarried a wonderful woman, and we wanted to try raising another child. Dr. Silber and staff were very encouraging and kind while we reviewed the different options. Ultimately, Dr. Silber completed a vasectomy reversal on December 7, 2010. Our little bundle of joy, Sophia, was born on September 12, 2013. I Thank you, Dr. Silber and staff, for explaining all the possibilities and procedures, performing the delicate operation and follow-up care and for making this wonderful part of life possible again. The attached picture is of Sophia while riding in the carrier/car seat in a wagon in our rural yard at chore time last week. Looks like her dad’s driving scares her a bit. Ha ha. What a joy! In March of 2011, after having completed months of research on the subject of infertility, my wife and I contacted your office with eager anticipation of getting through our infertility issues. Our story is one of correcting infertility issues developed by me having gone through a vasectomy. We were quickly put at ease by the professionalism and knowledge you and your staff had of our situation. We appreciated the fact that you gave us your assessment and recommendations and then gave us time to evaluate those recommendations. Your staff was very helpful in setting up all the arrangements from accommodations to finances. So, it is with great honor and pleasure that my we inform you and your staff that on December 17, 2013 at 11:50 pm our son was born. Ryker Isaac Monroe was a happy, healthy 9lbs 6oz at birth and is now growing and smiling daily.